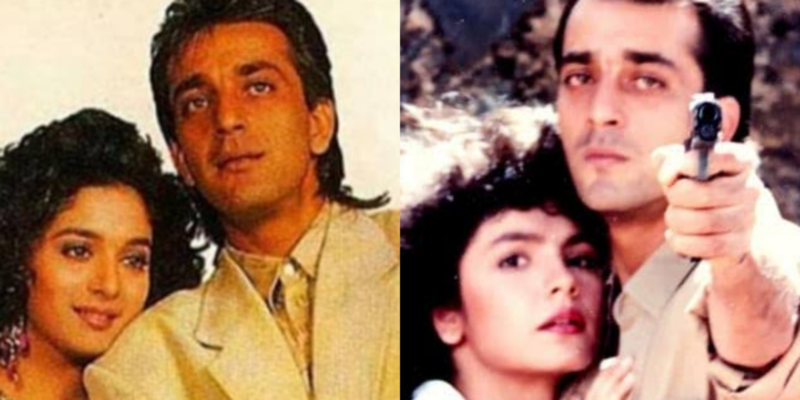 Two decades later, the most iconic hit jodis (couple) of Bollywood are making a comeback with films such as Kalank, Ek Ladki Ko Dekha Toh Aisa Laga and Sadak 2, bringing the old charm back on the big screens. Bollywood has given us dozens of legendary films, tonnes of epic sequences and a plethora of memorable dialogues that movie buffs can’t get enough of. Films like Tezaab (1988), Sadak (1991 ), Saajan (1991)etc., are some of the iconic Bollywood romantic films played by hit duos whose chemistry sweeped away the hearts of many. If one may wish to relive those times and films again, that may not be possible in the constantly changing world today, but however, some directors have made sure to bring the magic of classic 90s romance in 2019 through these reunions. Ever since the filmmaker Karan Johar shared the poster of his next production venture Kalank, on social media, movie buffs have been in a tizzy. The film will reunite actors Madhuri Dixit and Sanjay Dutt on-screen twenty one years after their last film, Mahaanta (1997). What began as a real life fairy tale love story between the two, however, ended on a sour note after the Mumbai bomb blast allegations on Sanjay Dutt. But fortunately, the two have moved on with their past and are all set to weave their magic once again on big screens this year. Sanjay Dutt will also be seen opposite Pooja Bhatt in the sequel of popular 90s film Sadak. Helmed by renowned director Mahesh Bhatt, the movie will reportedly hit floors in April this year and also stars Alia Bhatt and Aditya Roy Kapoor in lead. Anil Kapoor in a recent interview said that he is looking forward to share screen space with his former leading ladies Madhuri Dixit and Juhi Chawla. The actor will star opposite Dixit in the third part of Dhamaal series – Total Dhamaal, which will release on February 22, and re-unite with Juhi for his home production Ek Ladki Ko Dekha Toh Aisa Laga. As much as the audience was smitten with the dhak-dhak girl (Madhuri’s iconic dance number), they were also fond of her roles as ‘Radha’ and ‘Mohini’ (the name of the characters) in films such as Ram Lakhan and Tezaab respectively, paired with Anil Kapoor. The actors together have worked in sixteen films, not to be forgotten the hits like Beta, Parinda, Pukar and aforementioned Tezaab and Ram Lakhan. While Anil and Juhi were last seen together in Salaam-e-Ishq, it’s still been twelve years after which they’ll be seen together in a film. Earlier the duo had collaborated for films such as Deewana Mastana, Loafer and Jhooth Bole Kauwa Kaate. Though Tabu was seen working with Ajay Devgan in Drishyam, she was not his leading lady in the film. Both actors turned good friends, will now be seen together in Akiv Ali’s De De Pyar De which will be releasing in April of this year. “I think it’s more of a coincidence than a trend that this year will see maximum reunions of Bollywood on-screen couples of 90s. It is definitely a planned vision of a director to cast them, as the audience is always thrilled to see their favourite couples back together,” says Atul Mohan, a movie-business analyst and editor of Complete Cinema, while talking to Media India Group.